Eat – Enjoy – Repeat. Enjoy great food iN beautiful places we cannot wait to return to. There are so many great stories to share behind each region’s signature dishes and the lively farmers, chefs and restaurateurs! Discover what’s on your bucket list, plus take the roads less traveled. We are foodies at iNSIDE EUROPE and love to share must-try dishes iN favorite places and local specialties you didn't even know exist. Experience epic eats from street food to Michelin-Star dining and anything in between. Our culinary experiences are curated for your taste, with our in-depth destination expertise. We take you to tables we cannot wait to return to, even if that means getting pants a size larger. All restaurants are personally vetted – we have been where we take you and embrace the challenge to discover new locales or re-visit old favorites. Someone's gotta do it, wouldn't you agree? Our journeys are crafted anew with personalized culinary experiences for you, our actual travelers, and everyone in your party – including picky eaters, young or old(er). There is never a set menu, so everyone can enjoy the foods they love while on vacation with iNSIDE EUROPE. Experience expertise and care, including reservations at coveted chef's tables and behind the scenes access. Leave the logistics/worries to us and enjoy making memories to last a lifetime. Our hosts on your culinary journey are fellow foodies, your designated driver, your concierge, translator, even nanny if a sumptuous feast is best enjoyed adults-only. "An unbelievably great vacation: full of great food, expertise and personal touches!" "An Inside Europe tour is like traveling with the perfect companion. A more adventurous friend who entices you toward unique local experiences. And ohhh the food ...!"" Combine your passion for food with what's on your European bucket list. Whether you are celebrating a milestone, retrace your roots or need a break, our team will create your very own journey. Eating well and local is a quintessential part of every one of our travel experiences. The sensation of indulging in a dish being integral to the understanding of a destination does not have to be pricey, and the memories of dining in great company are always priceless. Dine iN Europe’s great culinary destinations, visit big cities, tiny villages, stop at local food trucks, stroll through farmer’s markets, take a cooking class. Keep scrolling for a virtual Amuse Bouche iN featured destinations! Did you know that French Gallettes, pancakes similar to the iconic Crepes are naturally gluten-free? And that celebrated German Chef Nils Henkel offers an all-Vegetarian feast that awarded his restaurant two Michelin-stars? We mean it when we say that “your taste sets the menus”, and thus can accommodate most preferences and dietary restrictions to ensure your iNSIDE EUROPE journey is a very delicious one. We also know where to find the best juices bars and can even point you in the right direction for a good burger or other unexpected cravings you may have! Birthday, Vow Renewal, Holy Communion, Anniversary, Retirement, Graduation – the list of occasions to celebrate with great food and wine are endless, and convincing family and friends to come along should be a breeze. We promise not to tell if all you really want to do is eat+ drink! Move over Paella and Sangria – unless you absolutely must have some, because Spanish cuisine has so much more to offer than the classics. Savor Jamón Ibérico de Bellota carved freshly from the ham-bone on roasted pan con tomate just rubbed with garlic. Rioja or Cava for breakfast? Si! Vamos! Let's go to Spain! Buon Appetito, carissimi Amici! Who doesn’t love Italian food? Yet have you tasted your way through authentic regional dishes? Tried the most simple, yet if done right most incredible two ingredient Pasta al Burro or the humble Tuscan left-over flavor explosion known as Pappa Pomodoro? How about Lasagne Bianca with a recipe dating back to ancient Roman times, or Carciofi alla giudia? Enjoyed seafood with a view of the Amalfi Coast from the terrace of a 12th century Norman Tower now a gourmet restaurant run by four wonderful brothers? Indulging iN Italy with iNSIDE EUROPE starts with café e cornetto, but then the sky or your pants are the limit! Can you handle a Bistecca Fiorentina? Mais oui, France is said to be the birthplace of fine dining and home to the most Michelin-star restaurants, but most important is that the French LOVE to eat and have made dining a la Française an art. Discovering local cuisine iN France is a never-ending delicious adventure, taking you from bakeries to cafés, market stands to bistros, from farmhouse kitchens to gourmet temples, down the slopes and on the greens, and let’s not forget picnics or relais routiers. How stinky do you like your cheese? Germany’s is full of surprises, especially of the yummy kind! Homeland to the world’s oldest sausage kitchen, but also THE culinary playground iN Europe for creative, innovative chefs who wow guests and critics alike! Germany boasts 300 Michelin-Star restaurants, with uber-multi-cultural offerings from classic French-style to Asian cuisine, superb white-glove fine German dining and ‘brutally local’ farm-to-table. And that’s just the tip of the foodie pyramid, here. All Vegetarian with Michelin-Star? We say ‘Prost’ to that! Pastel de Nata may well be the best-known Portuguese dish, but we like to dig-in deeper, be it into a pitcher of Portoriñha or a bucket of Percebes. Portugal is a seafood and meat lovers’ paradise, with acclaimed Michelin-star chefs, but also home to traditional sheep farmers and artisan producers of indigenous cheeses. There is lots to discover and try iN Lisbon, but also iN the North, South and Center, plus on the island. Portuguese cuisine is very regional, always relying on fresh ingredients and spices: hearty stews, delicious rice variations, fish patés, some of the world’s best canned seafood… – always delectably paired with local wines, craft beer, iconic Ports and Espumante. The food festivals (pictured) are pretty epic, too! Dishes so good, that your Portuguese Grandma approves! Schnitzel with Noodles + Hot Apple Strudel? These are a few of Austria’s favorite things indeed! Austria may not be the obvious gourmet destination iN Europe coming to mind, but your taste buds are in for a myriad of regional temptations from deep green pumpkin seed oil drizzled over almost anything even delicious ice-cream to pastries like Palatschinken or Salzburger Knockerln fit for kings and queens. Pumpkin seed oil over ice-cream is a must-try! Italy, France, Germany, and Spain, but also Austria, Belgium, Malta and Switzerland, plus the hidden culinary gems, all are part of our portfolio. 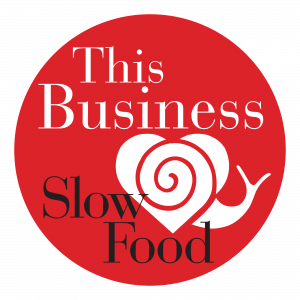 We are proud supporter of Slow Food. Our one-of-a-kind Culinary Experiences focus on all your senses – especially taste! Indulge with seasonal, regional specialties, freshly prepared by great cooks: from farm-rustic to uber-fine dining. 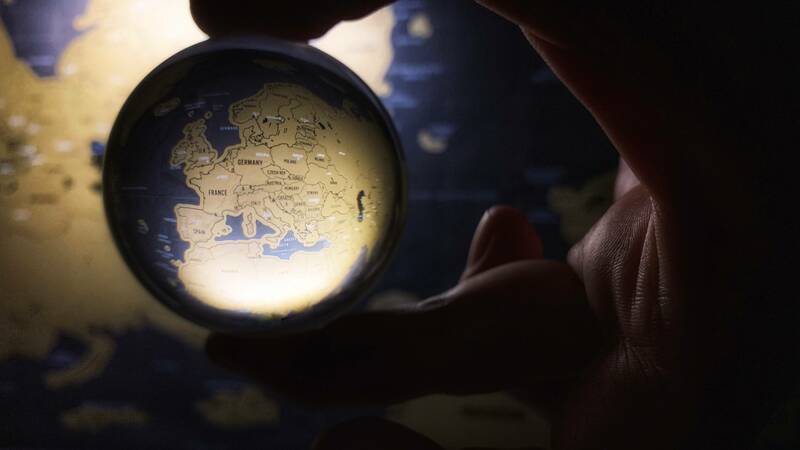 iNSIDE EUROPE journeys are passion- and people-centric – created anew by our team, for you, our actual travelers! Eat + Travel Better Together. We craft unique, one-of-a-kind journeys iN Europe, with curated, personalized experiences fitting to your way(s) — created around on your passions, paired with our insider knowledge. "Thank you for making Ireland a trip of a lifetime for everyone. The little ones loved the kids menus."